I’m strictly a bait fisherman when it comes to steelhead. I find natural baits are more effective than artificial ones. But, once in a while I’ll toss a fly or rubber minnow. Is there perfect steelhead bait? No, as each has its place during certain times of the year and water conditions. Here are some of the baits used by steelheaders, some are common and others rare. Eggs –The number one bait used by Great Lakes steelheaders. Steelheaders will either used eggs or skein. Skein is the membrane that holds the eggs together inside a pre spawn hen. Eggs from a spawning hen come out more easily. I use both cured and uncured eggs. When it comes to curing eggs I'll use a variety of cures such as Pautzke's Fire cure and BorX O'fire and a local cure called Flashcure. The reason for that is fish are like humans and the flavor of the week often changes. Eggs are great to use in dirty water as steelhead have a great sense of smell. Depending on water conditions, I’ll tie quarter sized sacs for dirty water and cold water. Dime size sacs are great when conditions start to clear. When conditions get really low and clear, I’ll go into stealth mode and use single eggs. Single eggs are very popular in Pennsylvania because of the low and clear conditions. Shiners - Before the VHS ban, many of the local tackle stores would get the large emerald shiners from the Niagara River. These shiners were huge about 4" to 5" long. Shiners are great to use in water that is slow or deep and steelhead find them irresistible. Three of my biggest steelhead came on them. I'm pretty fussy when it comes to shiners. Post VHS ban, most of the tackle stores carry shiners that are great for perch. If they're less than 3" I won't bother. Shiners can be used either alive or salted; it doesn’t really matter as they usually die at the sight of a hook. I'll hook them through the lips using an #8 egg hook. When it comes to using minnows, the Quick Minnow bucket is great for transporting them. It’s light and easy to carry. Butter Worms – Are the larva of the Chilean Moth and they look like waxworms on steroids. There are huge often over an inch long. They are hard to get and bait shops don’t carry them. A friend of mine orders them online from New York. I used them several times during the spring when the water was warmer and low. It’s something the fish don’t see often; I was surprised how much they liked them. Not a lot of people know about them. Waxworms – Are the larva of the wax moth. Most think panfish when it comes to these worms. But, they do work on steelhead. They are larger than maggots and easier to get than butterworms. Some tackle stores carry them and others don’t. Anglers I know buy them from pet stores and they swear they work better than maggots. They are better suited for low and clear conditions and work great on pressured fish. 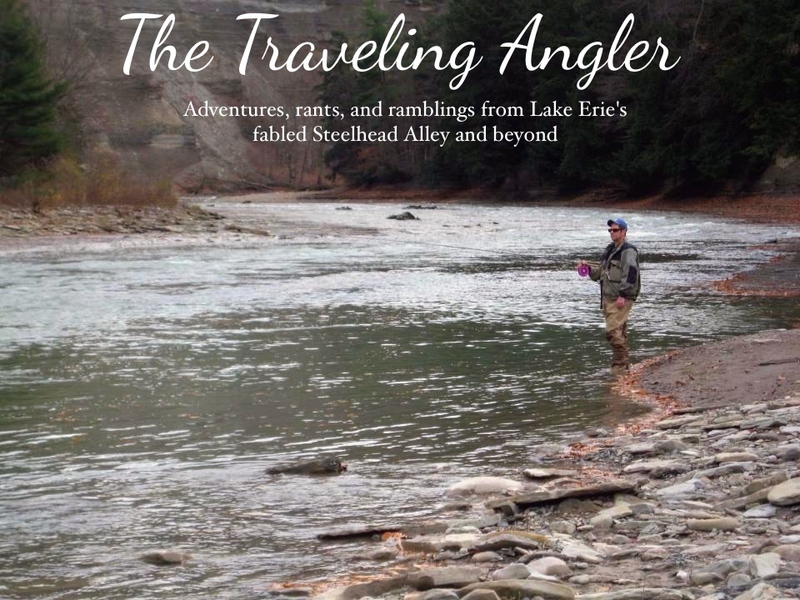 Maggots – Are very popular with Ohio steelheaders. Maggots are mainly used to tipped jigs. The jigs are often small ranging in size from 1/64-ounce to 1/32-ounce and are made from either bucktail or marabou. About 3 to 5 maggots will be placed on the hook. It’s unclear whether the fish are attracted to the jig or the maggots. Michigan Wigglers – Are giant nymphs of the Hexagenia limbata – large species of Mayfly. Wigglers are popular bait for steelhead in Michigan. Many of their streams are loaded with this larva and smolts growing up in their natal streams eat them. When they return to those streams they remember "imprinted" the nymph and eat them as adults. Wigglers used for bait are preserved because they are hard to keep alive. Personally, I’ve never used them, but I’ve heard anglers rave about them. Check the long range Greg? Things should be interesting come Tues or Wed next week. Gotta love a mid January thaw. Drove through the metro park this afternoon. There is some open water near the airport, but it's not great holding water. All of the prime spots are frozen over. The lake has frozen over so that might be a problem in regards to ice not moving when the temps get warmer next week. I would probably hold off coming up next week.